Sarah M “Omg! There are no accidents in life. Sitting on the mat at GOMA and there you were – the logic behind what Natalie Cook and I know to be true – our union was destined to be! We actually met in 1996 at The Atlanta Olympics without yet knowing our future creation together. And here we are 22yrs later, having brought Jordan into being and now custodians for what she will contribute to the world!! Thanks for glueing this all together Sarah Yip!! Nat “OMG! So sorry I wasn’t there for this “chance”meeting 🙂 We should so a family reading now!!! I am so glad you are living your amazing life! Looking great! x” Thanks so much, see you both again soon. I’ve waited a year to share this post with you! Last August, I completed a numerology workshop with Ian White, Founder of the Australian Bush Flower Essences – see my psychic reading for him. Ian suggested I take Abund-Essence, to remove some issues I had around money and receiving (read more). As part of my healing, I wrote a bucket list of successful people I wanted to meet. I’d heard about Nat through the Landmark Forum in Brisbane (read more) and admired her enormously. Incredibly, I discovered that Nat’s headquarters were less than two kilometres from my psychic readings office in Brisbane. I had been driving past her every day! So I emailed Nat and we lined up a time to meet. Both of us were quite surprised, as Nat is a very busy speaker, who is not usually into psychics. 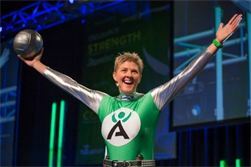 She’d just returned from inspiring 10, 000 conference attendees when I arrived. Nevertheless, she made time for me and I’ll always be grateful for her help. Nat holds a very high vibration. I could barely photograph her hands because of the energy pouring off them (a palmistry post is on my to-do list). Within a day of meeting her I went back to exercising. This led to me being treated for anorexia and falling pregnant with my son, ‘Forrest Bump’, who’s due Feb 2016. (My partner and I were discussing the name Forrest, when Forrest Gump started playing on TV – wow!) Nat truly changed my life. I chuckled when I talked to Nat about her Master 33 Lifepath, as she likes to wear a superhero costume during her talks (see photo). I often refer to people with Master Numbers as potential heroes. She’s used Australian Bush Flower Essences as well, which was a coincidence (or not). Numerologists use your DOB and name to create a chart of your soul contract (see my psychic readings). Think of this as a study or travel itinerary you compiled with your Spirit Guides. It contains major stopovers and destinations in this lifetime, but you can alter the journey, as well as its speed. 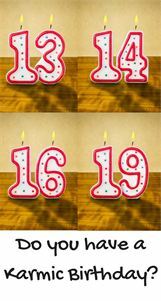 Nat was born on the 19/1/1975. Adding her DOB from left to right, we find she has a (1+9+1+1+9+7+5) or Master 33/6 Teacher Lifepath (life purpose) in numerology. As far as I’m aware, this is a far less common Lifepath. Your Lifepath is like a spiritual job description. Find your Lifepath. It’s a number between 1-9, 11, 22, 33 or 44, which reveals why you came to Earth. It doesn’t predict outcomes, as you have free will. Souls who choose Master Number Lifepaths have signed up for ‘double evolution’ in one lifetime. They often stand out in a crowd. Nat is here to heal her Third or Solar Plexus Chakra (Personal Power) and Sixth or Third Eye Chakra (Vision), and to share her experiences with the community. ‘Wake Up Call’ adds to 33/6 and this sums Nat up to a tee. The number 3 looks like lips and gives Nat wit, communication skills and a love of change. The Solar Plexus Chakra reflects our digestion, – it represents our liver, ‘guts’, appetite for life and willpower. The number 6 looks like a pregnant woman, and gifts Nat with a nurturing streak – she’s a natural parent figure, who helps people to grow and evolve. The Third Eye Chakra represents our Sixth Sense and Brain – it gives us intelligence, compassion and psychic ability or ESP. When our Third Eye is open, we are non-judgemental and think for ourselves (read my articles on water and 666). Nat has said that “Being an inspiration is the purpose of everything I do…My whole career has been about forecasting what I believe can happen, and waiting for reality to catch up.” (read more) Under stress, Nat could experience physical (skin, digestive) or psychic sensitivities (intense dreams or headaches).At times like this, outdoors exercise, meditation, yoga and energy clearing techniques could help her to rebalance. Archangel Michael’s name adds to 33/6 and people with 33 numerology (in their Lifepath, name or otherwise) often feel protected by Angels. The number 33 looks like a butterfly or four leaf clover when one 3 is reversed, which symbolises their lucky streak. Find your Guardian Angel. Note: Some people apply tests before accepting that someone is a Master Lifepath (see my post on Master 22). Using these analyses, Nat is a 6 Lifepath. However, having read for hundreds of Master Number holders, I believe that Nat is definitely operating as a 33/6. All 11, 22, 33 and 44 holders can ‘turn up’ or ‘tone down’ their energies by choice. As a Master 11 Lifepath, I use 11 energy to dopsychic readings at work, but switch to a 2 frequency at home (I’m very quiet and love cooking, music and art). Famous 33 Lifepaths include scientist Albert Einstein, ex-Australian PM Bob Hawke, author Stephen King, designer Victoria Beckham, singer Delta Goodrem, actors Meryl Streep, Robert Pattinson and other stars. They are known for the longevity of their work, and undergo sacrifice in their personal lives to show others the true meaning of love and compassion. Once you know your Lifepath and other numerology, you’ll find it’s been following you your whole life (see my page on 11:11 clocks). Sandstorm, Nat’s sand and beach sports organisation adds to 33/6. Live Out Loud, Nat’s foundation to combat childhood obesity, adds to 48/12/3, 3 being Nat’s lucky number. Its logo is a sun or hand (see photo – the Third/ Solar Plexus Chakra is also drawn as a sun). Motiv8Me, Nat’s video series, adds to 42/6. 6 is Nat’s other fortunate number. Motivate adds to 33/6, as does Motiv8! For this analysis, I’m using the Pythagorean system where A=1, B=2, C=3 and so on until I=9, when it repeats (read more). Your name shows ‘how you make a name for yourself’. It influences your mindset and career. Nat has a strong name, as it equates to words like Faith (26/8), Leader (27/9), Karma (17/8) and God (17/8). Amazingly, Nat’s known names of Natalie Cook and Nat Cook also reduce to a 7 Destiny. This is very unusual – clearly she wanted to master this energy. A 7 Destiny suggests that Nat will succeed by taking leaps of faith(7 looks like a cliff you jump off – I guess playing beach volleyball is similar!) It’s the number of an expert, who learns by trial and error. It’s not an easy or fast route to the top (the 7 looks like a road with a detour), but can very satisfying.7 is associated with overcoming extreme odds. The higher the mountain, the more they want to climb it. My known name is a 7 too. I went from science and working at the United Nationsto psychic work. People told me I was crazy but I stuck to my guns. Sometimes, being willful pays off! 7 or Crown Chakra energy makes someone private, sceptical, dedicated and thoughtful. After all, Kings and Queens wear a crown. People with strong 7 energy are here to teach self-respect and that we are all Spiritual Royalty. Nat’s 7 Destiny suggests she is an intuitive guide for others. Read more on 7 Lifepaths and energy. Nat has a 51/6 Soul Urge (vowel sum). This means that she looks for peace in her home life and loves caring for others. It could take her until mid-life to understand all that’s within her heart. She has a 19/1 Inner Dream (consonant sum), which means she comes across as ‘one of a kind’ upon first impression, and achieved an important goal in 1994 (more on that later). There are many 19’s in Nat’s chart (it’s her birthday, Inner Dream and second major cycle). Number 19 is The Sun in Tarot (there’s that solar symbolism again). It’s called the Prince of Heaven in numerology and gives the bearer a ‘superhero’ vibe – as I mentioned, Nat loves to wear a cape. Nat’s numerology suggest that one of her life lessons is to learn to share power, through inter-dependence. In at least one previous lifetime she may have wrestled power from others, and/ or ruled large groups in an aggressive way. How interesting that Nat chose to go into the team sport of beach volleyball instead of medicine. Volleyball is all about giving and receiving energy, whereas medicine focuses more on individual accomplishment. Nat is married to Sarah Maxwell. Sarah is a 31/4 Builder Lifepath,which means she’s here to heal her Fourth, or Heart Chakra through step-by-step constructive efforts. Sarah is a psychologist and volleyballer like Nat. She is in a Personal 6 Year (Love & Family), and recently gave birth to the couple’s daughter, Jordan Natalie Maxwell on 10.10.2015. Fittingly, Nat is in a Personal 1 Year (New Beginnings). Congratulations Nat and Sarah!! Personal 6 Years are wonderful for expanding your home life – my soulmate Kris and I met in our Personal 6 Years, Personal 6 Months!Find your Personal Year or read my tips for manifesting a partner. To determine a couple’s compatibility, you add their Lifepaths. Nat’s 33/6 Lifepath + Sarah’s 31/4 Lifepath = 64, which reduces to 10/1. So they are here to create ‘1’ energy, new beginnings and to be pioneers. Their daughter Jordan is a 1+1+2+1+5 or 10/1 Lifepath – she’s definitely chosen the right parents! More on 1 Lifepaths. Nat’s Uncanny Numerology TimingsNumerology provides accurate turning points for personal growth. It’s like a train timetable. I can predict when the trains will come, but not what carriage you board. Thank goodness – how boring life would be if everything were predetermined. We might as well stay in Heaven and eat calorie-free donuts.Here’s an outline of Nat’s turning points, based on the system of numerology I’ve developed for readings and workshops. 1994, Age 19 Personal 7 Year of Wisdom (triggers her 7 Destiny) Inner Dream/ Career Turning Point. Nat left her medical studies to pursue professional beach volleyball. 1996, Age 21 Personal 9 Year of Conclusions. Nat won a Bronze Medal at the Atlanta Olympics with Kerri Pottharst (a Lifepath 7 Teacher – 7’s are everywhere in Nat’s life). Kerri has a 11 Destiny/ Career Number and was in a Personal 11 Year, which makes sense. 2000, Age 25 Personal 4 Year of Security and Heart Healing. Nat and Kerri won a Gold Medal at the Sydney Olympics. Nat and Kerri’s Lifepaths add to 4 so this was a good time to team up. Kerri was in a Personal 33 Year and Nat is a 33 Lifepath. Again, perfect synchronicity. Nat and Kerri were awarded the Medal of the Order of Australia (OAM) in light of their amazing win. Career Turning Point. Nat and her new partner Nicole Sanderson won Bronze at the Beach Volleyball World Championships. 2004, Age 29 Personal Year 8 of Power and Breaking Karmic Patterns. Nat and Nicole paired up for Athens. Nicole’s chart shows a Lifepath Peak at age 28 (as she is a 28/10/1 Lifepath) and this was the year she went to the Olympics with Nat. Nat has also played volleyball with ex-QLD Premier Anna Bligh for fun (Anna is also a 28/10/1 – see my palmistry and numerology reading for her). Nat’s chart shows that by 30-31 she had finished working on her past-life cooperation lessons and was moving into a new cycle of freedom. 2008, Age 33 Personal Year 3 of Creativity and Change. Lifepath Peak and Challenge Period. As a 33/6, this is the age at which Nat began to express her full spectrum of leadership, communication and healing abilities. This was the year that Nat married Sarah. In a romantic twist, Sarah (a 31/4 Lifepath) was 31 that year, so she was in her Lifepath Peak as well. The odds of this happening are tiny. Nat and Sarah are definitely soulmates with a Divine contract. 2008 was always going to be up and down for Nat. She and Tamsin Barnett (a Master 22 Lifepath) went to the Beijing Olympics and finished fifth. After this event, Nat took a break from competition. 2012, Age 37 Personal Year 7 of Wisdom (triggers her 7 Destiny). Career Turning Point. Nat went to London for her final Olympics with Tamsin. She attracted controversy after suggesting it was time for a female to be the Australian flag-bearer at the London opening ceremony. You can’t hold back a 33/6 who feels that justice must be done (incidentally, the word ‘Police’ adds to 33/6, and many 33’s are whistleblowers). 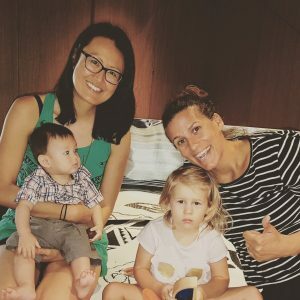 After being eliminated from the competition, Nat retired from professional beach volleyball.2014-2015, Age 39-40 Nat is transitioning into her next 9 year cycle, which has a 7 vibration, suggesting that her most satisfying career yet is about to emerge (perhaps it’s to do with motherhood and education?) She’s building up to some great accomplishments between now and 2021 (around 46). She just needs to navigate a wiggly section in 2017, which will bring new learnings. 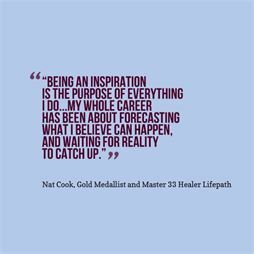 Numbers cannot predict our results, only our opportunities in life.Natalie Cook is someone who’s made the most of her potential in the most extraordinary way. If you follow my Lifepath system, you’ll know my saying, ‘if you need a long-term fix, ask a Six’ and Nat is making a huge difference in the community. What a legend! Cheers to you Nat, for your generosity and the chance to look at your numerology. I wish you, Sarah and Jordan all the best for 2016. Find Your Lifepath and Personal Year.